Of course you can argue about how useful this gadget is and whether it really adds value. But for the very low price, it doesn’t hurt to try it out. 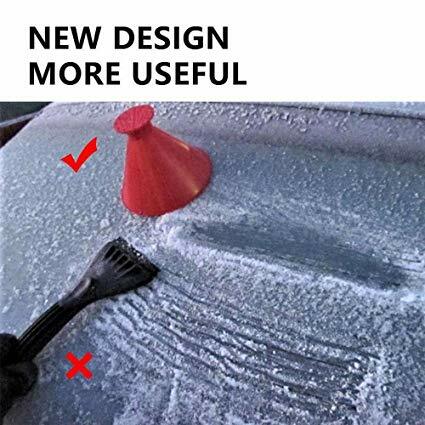 The ice scraper is particularly noticeable due to its funnel shape, which makes it possible to wipe in any direction. At the narrowest point as well as at the smaller corrugated part, you can comfortably touch the ice scraper and therefore apply less pressure to your wrists. In addition, the funnel removes more ice due to its size. So if the part works properly, you can assume that you will be able to clear a larger area much faster. For particularly persistent areas, you can turn the ice scraper over and use the extra roughened surface for this. If the ice scraper, which is made of pure plastic, will not break during the hard work even if it is used for a long time, cannot be said without a test. 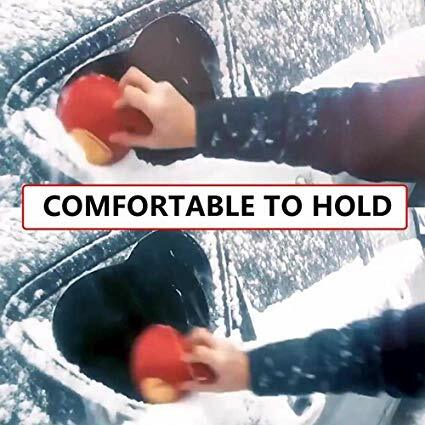 In addition, the ice scraper is rather difficult to stow in the glove compartment or car door due to its shape. It would probably have to be carried in the trunk or footwell of the rear seats. You can choose between blue, green, black and red. But that doesn’t make any difference to the way it works. The shop advertises with a very good functionality, even if this picture doesn’t convince me too much of it. What do you mean: the little money is worth a personal test? Its about time I see a real difference in design of an old job that looks to happily change my way of life repetitiveness positively!